Complexity And Power In The Legal System : 13.7: Cosmos And Culture The symbiosis between law and power is fractal in nature and can be found at all levels of hierarchy in the legal system. Laws enable new strategy spaces for actors within the system. Creative actors seek adjacent-possible actions within the prevailing legal environment to achieve their desired ends. 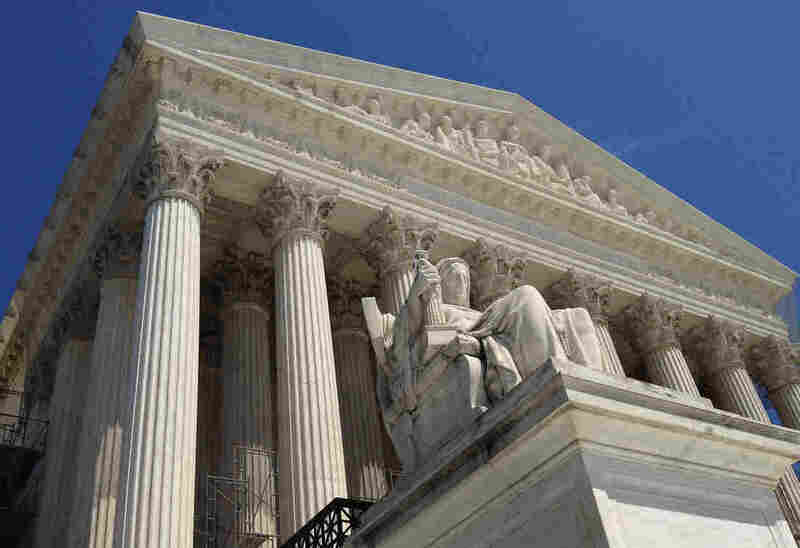 The United States Supreme Court: a temple to complexity and self-reinforcing feedback loops? Contrary to its aim of promoting justice and equality before the law, in practice the American legal system increasingly favors moneyed and politically influential groups. The capture of Congress by campaign donors and lobbyists, accelerated by the Supreme Court's decision in Citizens United, is one prominent example, but this power dynamic is ubiquitous in political and legal institutions. This favoritism for the powerful can be best understood as deeply intertwined with, and even an inevitable result of, increasing complexity in legal institutions. Corruption is a dynamic process. There is a symbiotic relationship between the legal system and powerful, regulated interests, which mutually benefit as they grow more complex and all-encompassing. The symbiosis between law and power is fractal in nature and can be found at all levels of hierarchy in the legal system. First, laws enable new, partially unprestatable, strategy spaces for actors within the system. Creative actors seek adjacent-possible actions within the prevailing legal environment to achieve their desired ends. Naturally, these innovations produce unanticipated behaviors. The unintended consequences are addressed through the creation of new laws, that again create partially unprestatable strategy spaces which are predictably further manipulated by powerful interests. This can create closed loops of mutually reinforcing laws and actions that is the basis of power structures. Ironically, this self-defeating cycle ensures both the defeat of lawmaker's intentions and empowerment of the lawmakers. When regulated entities creatively evade the intent of legislation, it should represent a failure on the part of lawmakers. Instead, it empowers them to draft even more laws to remedy the defects of the old ones. For example, drug prohibition laws empower police to intervene in drug trafficking networks. Increasing police intervention, however, raises the risk of selling drugs and consequently the price. This attracts more drug dealers and entices them to sell even more drugs. Even worse, prohibition spurs the development of new, dangerous compounds that evade existing laws, as well as more potent, concentrated forms of existing drugs for easier concealment and transport. These new societal problems alarm the community and inspire the passage of even harsher laws. Police authority (and power derived from it) and prisons flourish with the drug trade in a mutually dependent relationship. As Milton Friedman once quipped, "If you look at the drug war from a purely economic point of view, the role of the government is to protect the drug cartel. That's literally true." Second, the positive feedback loop between regulator and regulated re-enforces itself at a systemic level as vast networks of laws generate increasing legal complexity. This emergent complexity creates its own partially unprestatable strategy spaces that benefit knowledgeable, repeat actors over their less sophisticated counterparts. During litigation, for example, parties with deep pockets exploit various laws to bury their opponents in discovery and file flurries of pre-trial motions to force dismissal of the suit or a favorable settlement. Large corporations also often prefer complex regulatory schemes because they shut out potential competitors by raising the barriers to entry. While small farmers struggle to comply with extensive FDA, EPA and USDA regulations, for example, large agribusinesses hire armies of attorneys to navigate these regulations. Due to its increasing complexity, legal regulation often empowers the very same entities that it intends to disempower. Third, this co-evolution of law and action does far more than produce partially unprestatable and, hence, exploitable strategy spaces for regulated entities. Crucially, it enables moneyed interests to influence the substance of laws, their implementation or positions of power within the legal system. The establishment of government institutions in order to regulate economic activity, for example, creates the opportunity for corporate interests to infiltrate regulatory bodies and thus "capture" these institutions. This capture may be overt and intentional, or arise naturally from the incestuous relationship created by the "revolving door" between industry and regulatory bodies. Either way, a cursory examination of American administrative agencies, regulatory bodies and even presidential cabinets and Congress shows that both Democratic and Republican administrations have been thoroughly infiltrated by industry-sympathetic technocrats. Perhaps this corruption is a feature, not a bug. Money loves power and self-reinforcing loops of legal regulation and their enabled strategy spaces concentrate both. This model of the evolution of law as a co-evolutionary process challenges the prevailing view that policy makers can control legal outcomes. The idea that we can control assumes that our actions are both knowable beforehand by those seeking legal control and also cause whatever outcomes are produced. But the legal system exists in an unbounded state space where the possibilities enabled by legal institutions cannot be predicted ahead of time. Laws that were created for specific reasons can be used for myriad other purposes based on unprestatable societal changes, which then influence the directionality of the laws in richly cross-connected and self-reinforcing feedback loops. As the legal system expands its diversity, specialization and redundancy, increased complexity benefits groups best able to exploit its burgeoning ecological niches. The language of cause and effect must be replaced with enablement of partially unprestatable strategy spaces that jointly form self-reinforcing power structures. The use of law to regulate social behavior can radically alter the power structures embedded within society. We should carefully consider the possibility that, as the legal system covers a greater breadth of human conduct, the laws serve as adjacent-possible niches for the benefit of the powerful and to the detriment of the powerless.